There are so many Star Plus popular shows, what more can it give? The truth is, there is more in the creative minds of the of this online TV channel creators that they want to offer to the public. Noted to be one of the best online channels to host the presentation of Hindi films and programs, this platform has provided both the big names and the independent producers in India to be known and heard by the public. With this reputation at hand, this Live Hindi TV Channel team tries to reach out and deliver what the public wants and expects from their service. Changing the persona of regular serials on saas bahu sagas, the channel now offers four brand new shows on different themes. The youth oriented TV show features three brothers from a rich family, their dealings and the challenges they have to face to stay in power and authority over the people that recognize their direction. It opens up the mind of viewers to the fact that no matter how rich a family is, they face the same troubles everyone is dealing with. The bonding between the brothers and the way they survive every situations is really worth to watch. The favorite part which garnered the show rise in the TRPs is the brother's love stories. 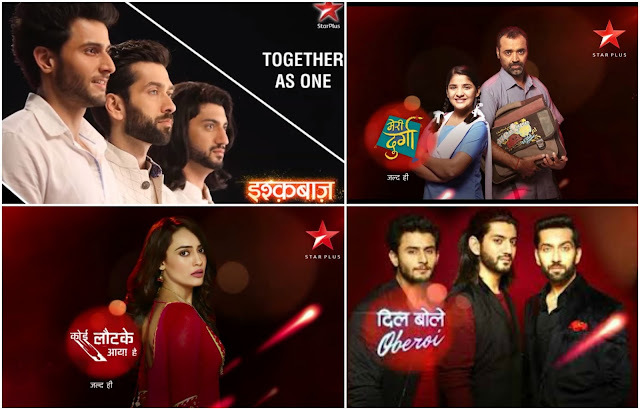 Serving as a spinoff of Ishqbaaz, this series presents more defined characterization and better-developed story lines for the other two brother's love life. Though it's the enhancement of Ishqbaaz but it has it's own story line, seems like the makers wants more viewership with this new idea. The TV show will start from 13th Feb after the telecast of Ishqbaaz. Durga a little village girl from Haryana is like all other normal girls. But his father a peon in the school vows to overcome all hurdles and educate his daughter so that she will be famous person one day. The story traces the relationship between father and daughter and how their dreams contradict each other. How Durga will survive in so much expectations.This is one of the best concepts which will open every people mindset who think a girl child is just a burden to his families and we as parents shouldn't force our children to live for our dreams. Labelled as a romantic thriller, this series presents how supernaturals fall in and out of love. With twists and turns between characters empowered by their mystic gifts, this character-defined series is something that opens up the minds of the viewers to greater possibilities and open-ended stories. By seeing the promos you can get an idea that the show based on lost love. But is the love bond so strong that it forces to connect two different worlds. The popular TV diva Surbhi jyoti returns with this finite series after Qubool Hai along with popular actors Sharad Kelkar and Shoiab Ibrahim. With all these additions to the grand program schedule of Star Plus Live, the viewing experience of the target audience would surely be on the rise.